Frank Magree is an award winning actor & director who has been working professionally in the industry for 30 years, appearing in films, Romper Stomper, Ned Kelly, Danny Deckchair and Redball. 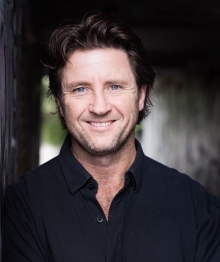 Franks TV credits include Bed of Roses, Underbelly, House Husbands and Stingers. His latest short film Sengatan has won ‘12 awards in Australia and internationally.